As digital platforms make daily transactions quick and easy, that even local companies and organizations try using these as payment, providing convenience and efficiency to their customers. In a recent development, the Bangko Sentral ng Pilipinas (BSP) has finally introduced the National Retail Payment System (NRPS) framework to help create a safe, efficient, affordable and reliable electronic payment system that is interconnected and interoperable, to pave the way for the country’s transition to a cash-lite economy. In support of this endeavor, RCBC further elevates its services to bring a more efficient and affordable way of sending and receiving money anytime and anywhere in the country, with Instapay. Through this partnership, RCBC expands its network for interbank fund transfer to more than 20 financial institutions - including Bancnet banks and Instapay partners – enabling their clients to do real-time electronic payments &amp; credit transfers. RCBC clients can experience more convenient transfers as Instapay transactions can be done in various electronic channels. It is accessible 24 hours a day using RCBC Online Banking platforms, both available in app and web formats, saving the hassle of actually going to a bank or payment counter and lining up to make a transaction. With Instapay, RCBC account holders can also enjoy lower fees and charges, as low as P15 per transfer, as long as the receiving bank is a legitimate service partner. To start transacting via Instapay, RCBC customers should enroll their active checking or savings account in online banking. The recipient from the other bank should also be registered as a beneficiary to be able to receive the funds. To enroll an account, just choose the bank that is also a listed participant of Instapay, input the account number and full name of the beneficiary, then click “submit”. Once enrolled as beneficiary, transfers to these accounts will be automatically routed. Since RCBC is also an active Instapay receiver, you can accept funds &amp; credits transferred to your RCBC account sent from other Instapay banks. You can simply wait for the fund to be credited to your RCBC account; check your balance online. Customers can transfer up to P50,000 per transaction and funds are instantly credited to the receiving account in full as there is no fee charged for the electronic fund transfer. However, consumers who will send money may be charged depending on their bank. 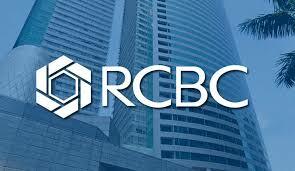 Along with BSP, RCBC is making the move to use online platforms for all transactions. So the next time you have urgent bills to pay or need to send allowance to a family member, just log-in to your RCBC online banking account and transfer money via Instapay.